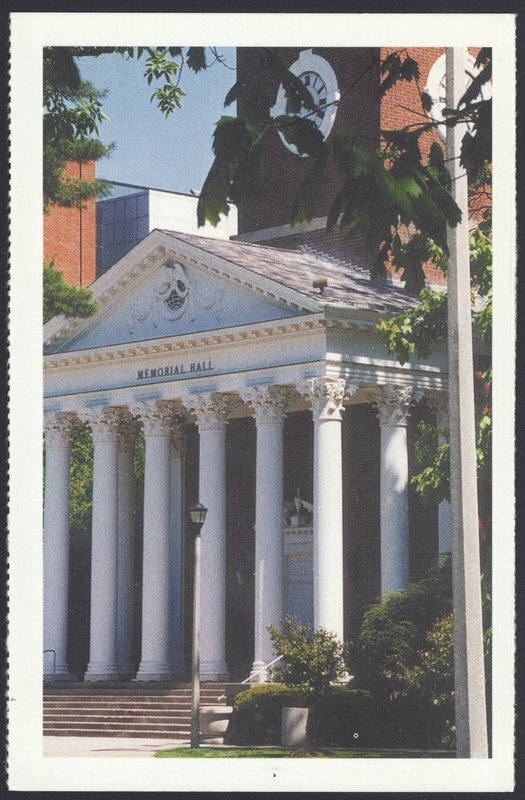 Given to the University of Kentucky by the class of 2002, Historical Marker #2089 commemorates Memorial Hall. Completed in 1929 as a memorial to Kentuckians who died in World War I, the building was financed by statewide contributions. 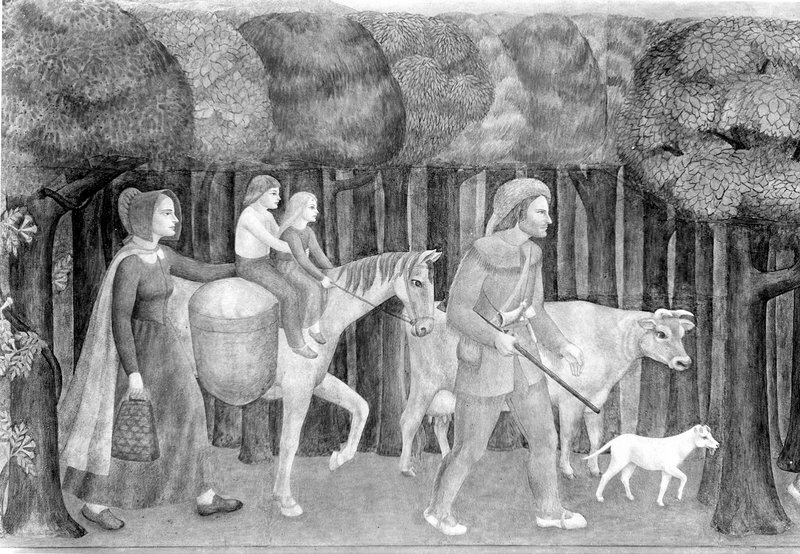 The interior contains a forty-foot fresco, created by Ann Rice O’Hanlon in 1934 for the Public Works of Art Project, depicting historical events in central Kentucky. It also features cases that hold the names of students who served in the World Wars from all Kentucky counties. The Hall and its outdoor amphitheater continue to host many student gatherings, speeches, concerts, lectures, and memorial services. The building's clock tower has become the symbol for the University of Kentucky. Artist Ann Rice was born in Ashland, Kentucky, on June 21, 1908. She majored in art at the University of Kentucky and taught for one year at Georgetown University. In 1931 she moved to San Francisco to continue her art studies at the California School of Fine Arts, now known as the San Francisco Art Institute. There she met Richard O'Hanlon whom she married the following year. In 1937 they moved to Mill Valley where she remained until her death on Aug. 12, 1998. The UK Senior Challenge Historical Marker Project, administered by the Kentucky Historical Society, began in 1994 as a way for the graduating senior class to leave a memorial to the university. Every year since then, the UK historical marker committee has decided on the topic, raised the money, and written the text for the markers. Memorial Hall: Memorial Hall. Photo courtesy of the University of Kentucky. Memorial Hall: Entrance to Memorial Hall. Photo courtesy of the University of Kentucky. 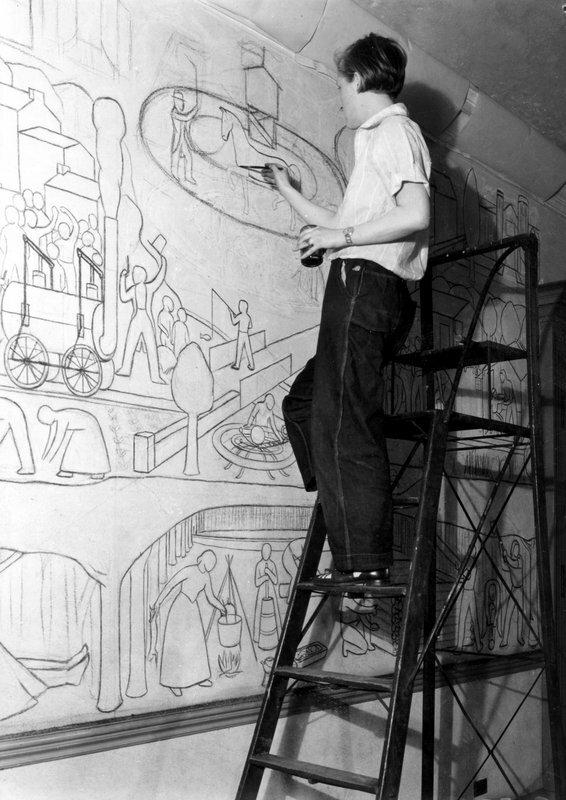 Mural in Memorial Hall: Ann Rice O'Hanlon working on the forty-foot long fresco she painted in Memorial Hall in 1943. 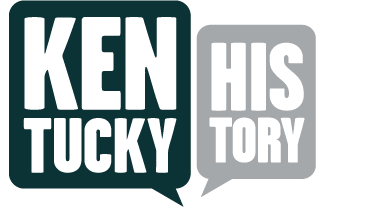 It depicts historical events in Kentucky. Photo courtesy of the University of Kentucky. Mural in Memorial Hall: Mural of pioneers in Kentucky painted by Ann Rice in Memorial Hall, 1934. Photo courtesy of the University of Kentucky. 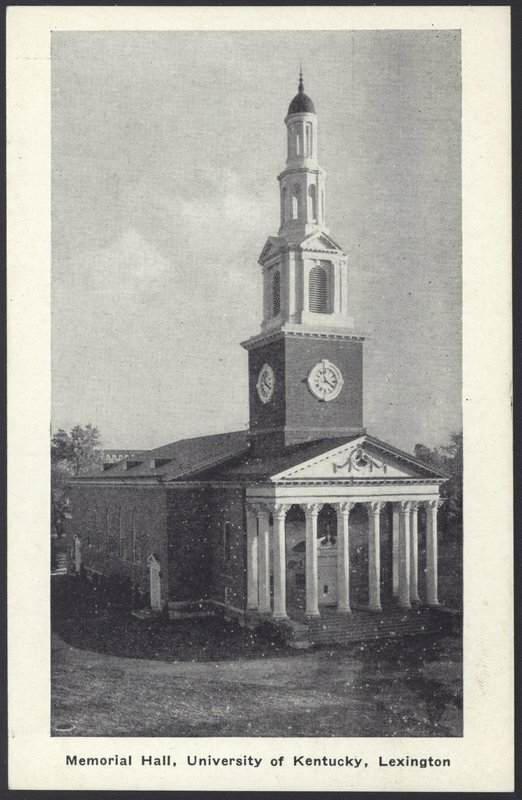 Becky Riddle, “Memorial Hall,” ExploreKYHistory, accessed April 22, 2019, https://explorekyhistory.ky.gov/items/show/148.